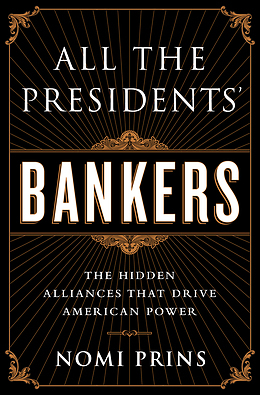 Prins is author of the new book, All the Presidents’ Bankers: The Hidden Alliances that Drive American Power. Available for a limited number of interviews, former chief economist at the international consultancy firm McKinsey & Co., Henry is senior adviser with the Tax Justice Network and senior fellow at the Columbia University Center for Sustainable International Investment. He said today: “In this case we have the second largest Swiss bank, a bank with … 1.26 trillion Swiss francs of client assets under management getting away with essentially a fine that amounts to three months of their net earnings. Contrary to Holder’s claim about it being an end to ‘too big to jail,’ no senior executives are going to jail. Brady Dougan, the CEO, is expected to stay on. The reason the Swiss stock market, in particular Credit Suisse, soared this morning is because they are delighted with this deal. “We’ve missed the opportunity to really send a message here because the way they structured this plea bargain was to rule out any impact on Credit Suisse’s license to operate in the United States, which is the only impact a criminal prosecution could have had. Black is an associate professor of economics and law at the University of Missouri-Kansas City. A former bank regulator who led investigations of the savings and loan crisis of the 1980s, he is the author of the book The Best Way to Rob a Bank is to Own One. He said today, “Credit Suisse represents a small change from a policy that was indefensible to one that remains fatally flawed. The fundamental flaw in the entire process is the continuing refusal to prosecute the senior corporate officers who led, and were enriched by, the fraud epidemics that drove the financial crisis. That fatal flaw continues, indeed, reports are that the CEO — who controlled the key functions that should have prevented Credit Suisse’s massive frauds — was promised that he could continue in control with no ‘claw back’ of his (and his colleagues’ bonuses) or civil suits against him by the U.S. The supposed ‘dilemma’ involved in prosecuting elite banks does not exist because the superior deterrence would always come from prosecuting the officers. Given the continued ‘too big to fail’ mantra the corporate fines — by definition — must be so small relative to the size of the bank that they pose zero risk of ‘causing’ [sic] the bank to fail. (The entire discussion of ‘causation’ is bizarre and wrong — the frauds should cause the ‘failure’ and there is no need to allow the bank to ‘fail’ in the sense they are discussing because we could either bring an enforcement action and ‘remove and prohibit’ the senior officers that led the fraud or place the bank in conservatorship and replace the fraudulent officers with ones of integrity and competence. In either case, the bank would continue and be in far better shape with honest managers). Parks and Williams are organizers with Justice for Cecily and can address her case.